More Than 30 Years of Successful Trial Experience. 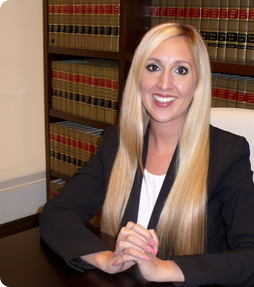 Ms. Reynoso is a graduate of Nova Southeastern University Shepard Broad Law Center. While at Nova, she was one of four students chosen on the William C. Vis International Commercial Arbitration Team to represent her law school in Vienna, Austria. As the only female on the team she excelled in the competition receiving the highest scores of all her teammates. Ms.Reynoso was selected as a national member of the Order of Barristers for exhibiting excellence and attaining high honor through the art of courtroom advocacy. The Order of Barristers is a United States national honor society that recognizes oral advocacy and brief writing skills through effective law school oral advocacy programs. Ms. Reynoso was also a senior staff member of the International Citator and Research Guide. The International Citator and Research Guide is the first comprehensive research manual of international legal citation and law written for legal practitioners and academics. The International Citator and Research Guide is the only law journal at Nova that publishes all of its students’ work.